"Spent July 4th weekend 2013 flying out of town to pick up our new truck. Brought it back to our shop at home where it would spend the next couple months being re-tooled into a work vehicle." "Cab being painted yellow to match company colors." 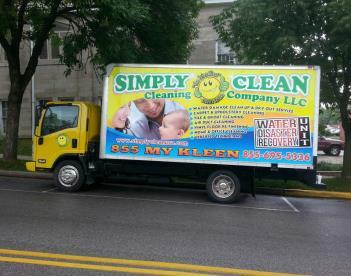 "Full box wrap produced and installed by Everywhere Signs. 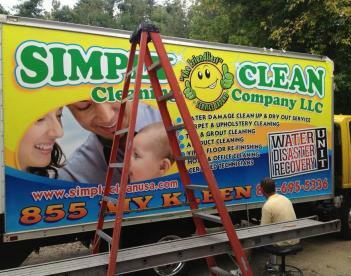 All other vehicles and office signage provided by Johnny Signs." 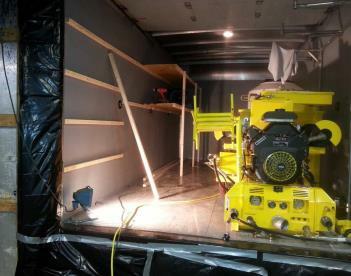 "New Amtex Inferno truck mount still on a shipping pallet in the back of the truck. 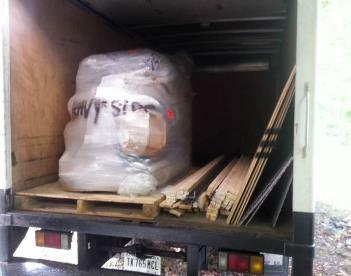 Unit was shipped from Ben at Amtex to our friends at West Side Tractor in Bloomington who loaded it up for us. 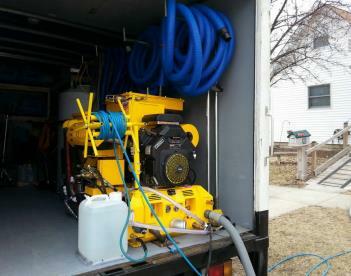 Unit installed at home shop." 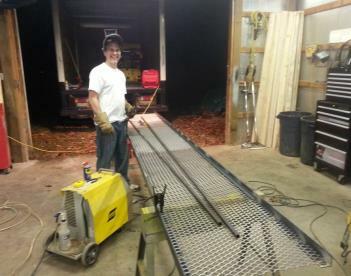 "Fabricating a new loading ramp from scratch at home shop." 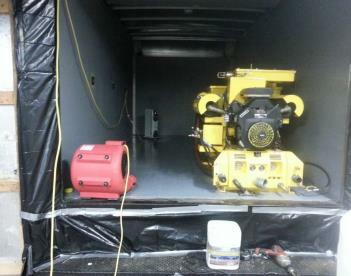 "Coated inside of box with 2 coats of epoxy paint, and coated floor with 10 coats of acrylic floor wax." "Installing custom fabricated rack for 160 gallon fresh water tank." "Shelves being installed floor to ceiling on all 3 sides for maximum storage capacity." "Exterior of truck received new paint, vinyl wrap, under belly paint, new wheels, mud flaps, exteior LED lighting and loading ramp."